Order "Your Perfect Wedding Vows"
B) Antidote for Bridal Stress! 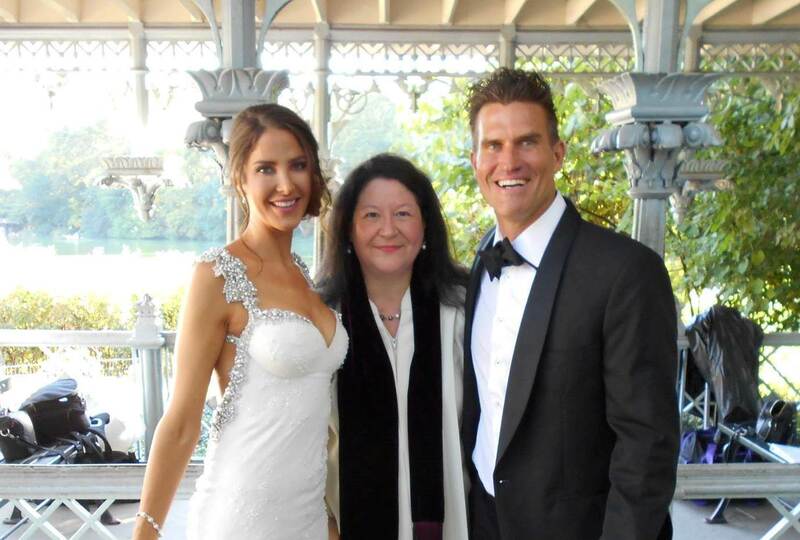 New York Wedding Officiant - Article! Rev. Laurie Sue Brockway is a leading interfaith and non-denominational wedding officiant, and a widely recognized expert on blended marriages and bridal stress. She regularly presides over interfaith, intercultural, and nondenominational weddings and helps couples deal with tricky family and religious challenges. She specializes in writing wedding ceremonies that are personalized and crafted based on the needs and values of each couple. She is known for her warm, loving and creative approach to blessing couples of all backgrounds, faiths, and cultures and for guiding them on their journey to the altar and beyond. She helps interfaith couples explore challenges they face, and unites them in marriage while helping them to blend families and cultures. She has an active wedding ministry in New York City and serves hundreds of couples each year. She is author of Your Interfaith Wedding, Wedding Goddess, and Your Perfect Wedding Vows. Find out about personalized wedding ceremonies.